The new Final Fantasy XIV update 4.4 is now available to download. Square Enix has revealed some of the new content planned for ‘Prelude to Violet‘, which includes new playable content and changes and additions to treasure hunts, housing and more. Some of the changes are specific to expansions – Heavensward and Stormblood, so make sure you check out the full patch notes linked below. One of our favorite additions is that mannequin furnishing are now available for estates and departments. Mannequins are interior furnishings that you can equip with clothing items. You may select their class or job, as well as gender. Various poses are also available. The mannequin can be used either to display an outfit for sale, or simply as decoration. There’s also a bunch of scenario quests, including Sisterly Act and Feel the Burn. There’s five quests that have yet to be named before Final Fantasy XIV update lands next week. Additionally, you’ll be able to pick up some new dungeon gear and new tomestone gear, which will be the last set of tomestone gear until the next expansion. A new raid dungeon – Omega: Alphascape – will also be added. The Final Fantasy XIV Update 4.4 Patch Notes detail a ton of changes, so check them all out at the official Final Fantasy XIV site. 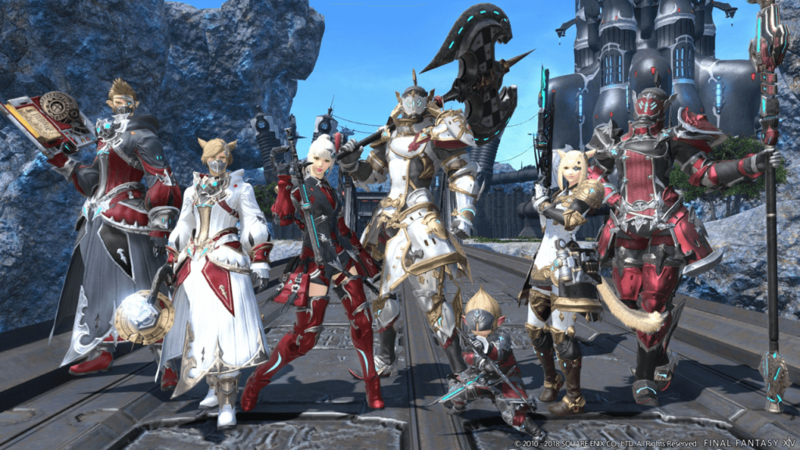 Final Fantasy XIV Update 4.4 goes live on Tuesday, 18 September.